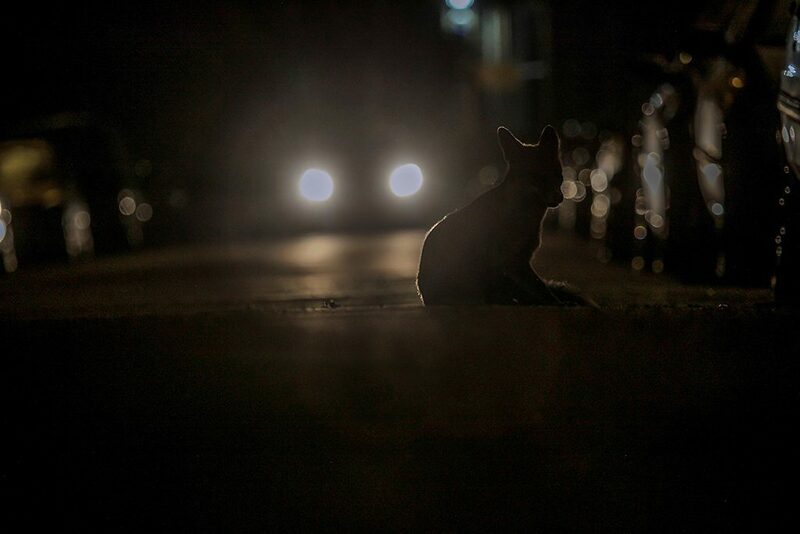 I often get asked about my experiences with Bristol’s urban fox population and how I go about photographing them. I normally start at the beginning, with my first encounter with a fox I named Freddy. 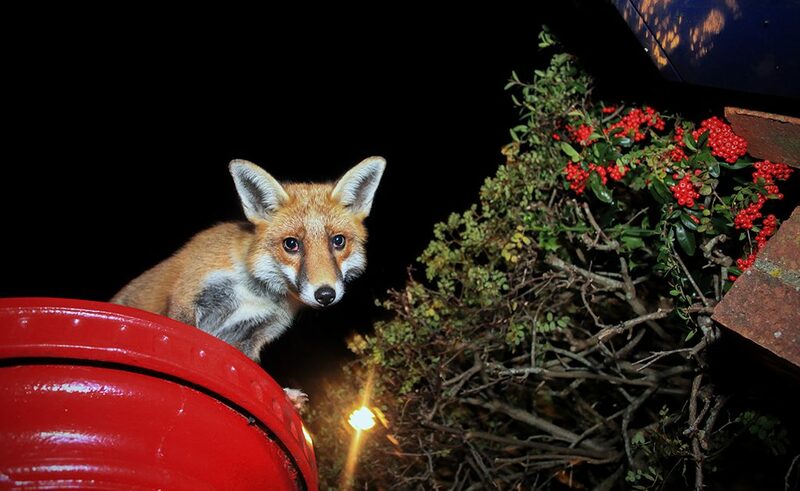 Way back in 2011, I was walking back from a Bristol pub and by chance, I stumbled upon a red fox darting past me at night on a busy street. I approached the small fox expecting it to disappear but to my surprise, he hung around and even came over to investigate me. I didn’t know at the time, but this was the beginning of a year-long project with this male dog fox who was a beautiful and intelligent animal. In the beginning, I knew nothing about foxes but had heard plenty from the British media and to be honest 90 percent of this was negative and scaremongering. The following evening under the cover of darkness I headed back not really expecting to ever see this fox again. To my surprise, the fox was in the same location at the same time! I started taking pictures and they were terrible! but over time, by watching and studying the fox, I began to understand his behaviour and territory. This greatly enhanced my photography and the images started to improve, to the point that they featured in BBC Wildlife Magazine, national press and even on two TV shows. By the end of the year, I had a huge portfolio of images and had formed a strong bond with this fox as we had spent so much time together. 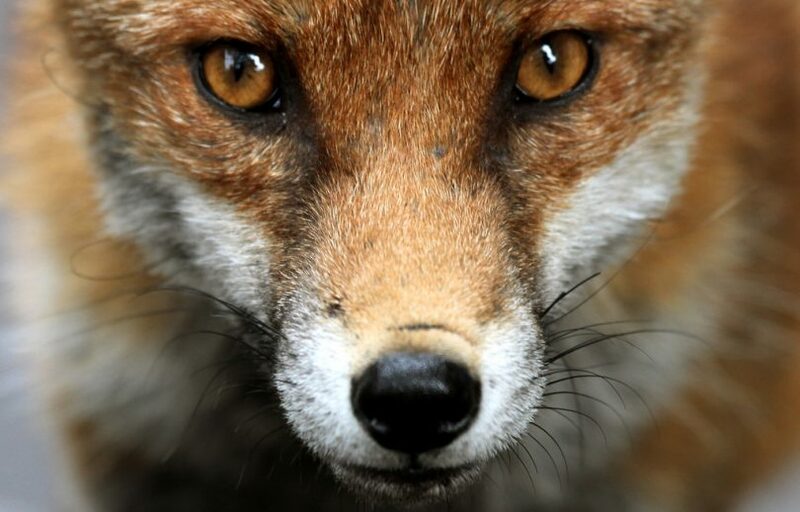 I really learned a lot about this beautiful animal and foxes in general, and then understood that the media in this country showcased the urban fox in a negative and unfair light, which was deeply frustrating. The experience with this animal was magical – each encounter was an amazing wildlife experience and the best part was that it was right on my doorstep, in the heart of Bristol! Towards the end of the project, I noticed the health of the animal had started to decline and patches of fur were disappearing from the fox. In a relatively short amount of time the appearance and health had deteriorated to such a point, he didn’t have long to live. The reason for this deterioration was a condition called Sarcoptic Mange. It is a highly contagious skin disease caused by the Sarcoptes Scabiei mite. These mites will burrow through the skin causing intense itching and irritation. The scratching that results from mange is what causes the majority of the animal’s hair to fall out and if not treated will kill the animal. One day I went looking for Freddy and he didn’t appear and I knew that he was dead. I was devastated. I had given the fox treatment and even enlisted an animal rescue centre to catch and hopefully save this animal, but he used all of his cunning and managed to evade capture for two weeks. It was a wildlife encounter that will always be with me and bring back fond memories of spending a year with a wild animal, learning about its’ behaviour and personality. In the years that have passed, I have photographed many foxes and enjoyed many beautifully encounters, which make all the hundreds of hours of waiting and searching all worthwhile. Foxes scent their territory, so when you know what this smells like (musky and strong), you know you’re in the right area and at some point during the day or night, the fox will pass through this area again. Foxes seem to be most active at dusk and dawn. So if you head out then in an area where you suspect a fox is present, you have a better chance of spotting them. 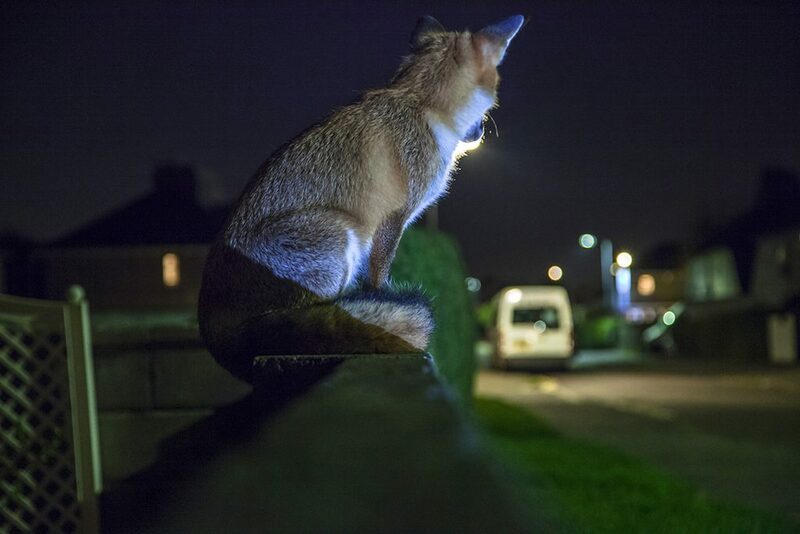 Urban foxes have a territory that they will patrol. Understanding this and knowing what their territory is, will put you in the driving seat and your fox encounters will follow! Also in this territory, you will have a foxes den – normally under a shed or in sheltered location. Urban foxes typically have resting areas where they will chill out during the day; I have seen many foxes on garden shed roofs especially during the summer months. I find postmen, security guards, groundsmen, and local people are the best to ask about foxes. If they like foxes, they will generally help you out and give you really good tips. 5. Let the fox come to you. By letting the fox come to you it builds trust, shows the animal that you do not mean it harm and is respectful to the animal. I have come across a group of photographers who will spend all night chasing foxes with no regard for the animal. It’s bad practice, shows no respect for the fox and gives wildlife photographers a bad name. Header Image: Fox portrait. Credit ©Ian Wade.